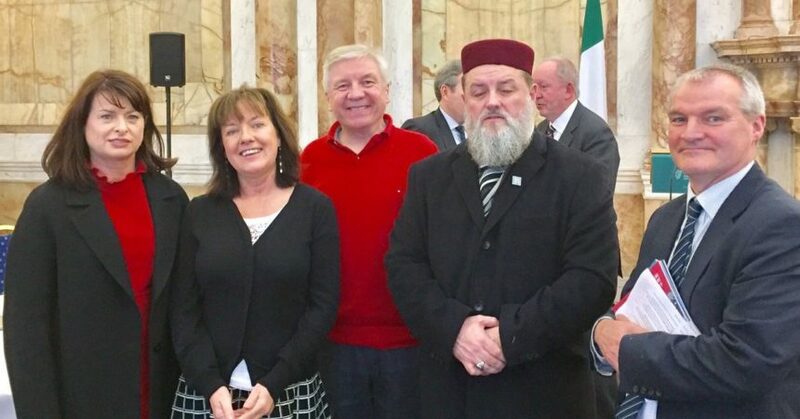 Atheist Ireland, the Evangelical Alliance of Ireland and the Ahmadiyya Muslim Community of Ireland, attended a Council of Europe human rights round-table conference today in the Department of Foreign Affairs. Our secular alliance asked about religious discrimination against minorities in the education system. We had already raised these issues at a separate meeting on Tuesday with Commissioner Muiznieks. You can read our report of that meeting here. At today’s conference, there was a significant reaction to the fact that we had an alliance present between Atheists, Evangelicals and Ahmadiyya Muslims. It was seen as a unique and important step in having the religious discrimination in schools addressed as a human rights and equality issue, and not one of sectoral self-interest. We discussed our shared concerns with Emily Logan, Chief Commissioner of the Irish Human Rights and Equality Commission, Michael Farrell of the Council of Europe Commission Against Racism and Intolerance, Mark Kelly of the Council of Europe Committee for the Prevention of Torture, and Peter White of the Department of Foreign Affairs Legal Department. We outlined the problems that we face as minorities both in access to school and, more importantly, within the schools, where religion is integrated throughout the whole curriculum. Children cannot opt out of this religious ethos. Ultimately the problem is not lack of parental choice: it is that the patronage system itself, with multiple ethos, leads to segregation and inequality. Prof Siobhan Mullally of UCC said that trafficking in children and labour must be tackled, including prevention. Mark Kelly said that the Committee for Prevention of Torture needs more resources, regular monitoring, and a transborder impact. Prof Francoise Tulkens, former Vice President of the European Court, said that we need synergy between human rights instruments and civil society. 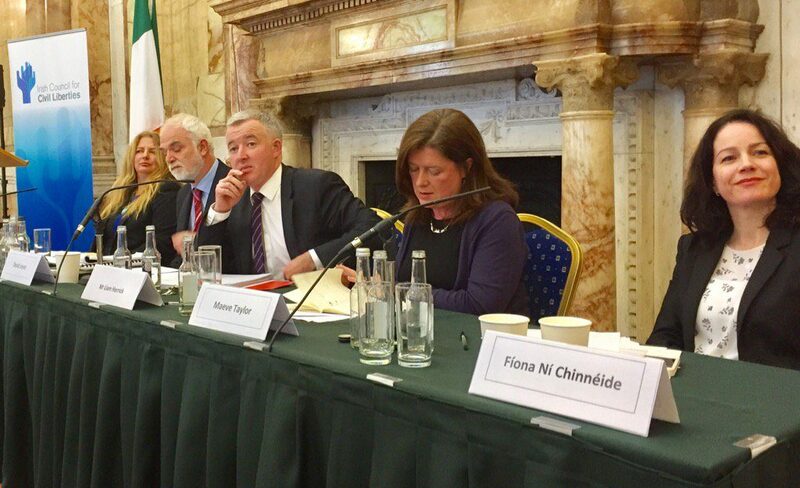 Prof Aoife Nolan said that the European Court should refer more to provisions of Social Charter and Committee, e.g. on austerity. Martin Collins of Pavee Point said that human rights and security and stability of state are inextricably linked, positively and negatively. Michael Farrell of ECRI said that we need round tables in each country after reports, and a specific Parliamentary human rights committee. Maeve Taylor of the IFPA said that we need effective access to vindicate existing right to abortion based on the European Court ruling in the C case. Fiona NI Chinneide of the Irish penal Reform Trust said that solitary confinement, of 14 days of 22 hours a day, impacts on mental health. Nusha Yonkova of the Immigrant Council welcomed developments in the national plan on human trafficking, and said monitoring is important. David Joyce BL said that there were significant violations of human rights to be addressed arising from European Roma Rights Centre v Ireland. The Council of Europe is the continent’s leading human rights organisation. It includes 47 member States, 28 of which are currently members of the European Union. 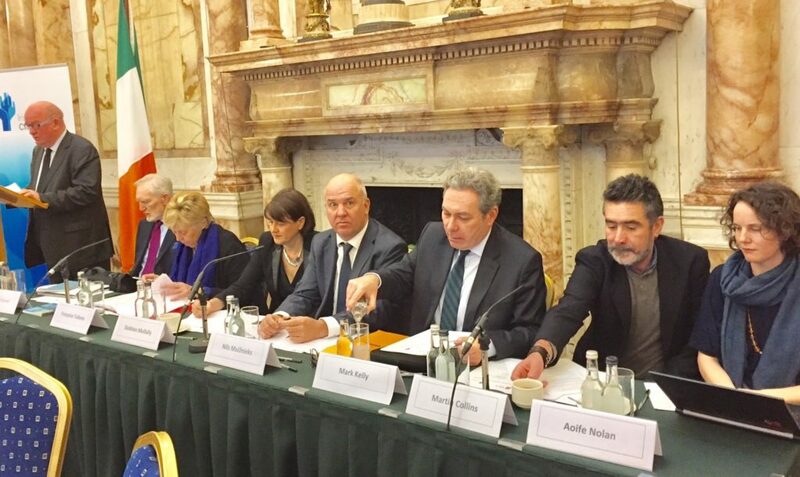 Today’s conference was organised by The Centre for Criminal Justice & Human Rights, University College, Cork and The Irish Council for Civil Liberties.